See the author discuss the book in a video. A hiking trail through majestic mountains. A raw, unpeopled wilderness stretching as far as the eye can see. These are the settings we associate with our most famous books about nature. But Gavin Van Horn isn’t most nature writers. He lives and works not in some perfectly remote cabin in the woods but in a city—a big city. And that city has offered him something even more valuable than solitude: a window onto the surprising attractiveness of cities to animals. What was once in his mind essentially a nature-free blank slate turns out to actually be a bustling place where millions of wild things roam. He came to realize that our own paths are crisscrossed by the tracks and flyways of endangered black-crowned night herons, Cooper’s hawks, brown bats, coyotes, opossums, white-tailed deer, and many others who thread their lives ably through our own. With The Way of Coyote, Gavin Van Horn reveals the stupendous diversity of species that can flourish in urban landscapes like Chicago. That isn’t to say city living is without its challenges. Chicago has been altered dramatically over a relatively short timespan—its soils covered by concrete, its wetlands drained and refilled, its river diverted and made to flow in the opposite direction. The stories in The Way of Coyote occasionally lament lost abundance, but they also point toward incredible adaptability and resilience, such as that displayed by beavers plying the waters of human-constructed canals or peregrine falcons raising their young atop towering skyscrapers. Van Horn populates his stories with a remarkable range of urban wildlife and probes the philosophical and religious dimensions of what it means to coexist, drawing frequently from the wisdom of three unconventional guides—wildlife ecologist Aldo Leopold, Taoist philosopher Lao Tzu, and the North American trickster figure Coyote. Ultimately, Van Horn sees vast potential for a more vibrant collective of ecological citizens as we take our cues from landscapes past and present. 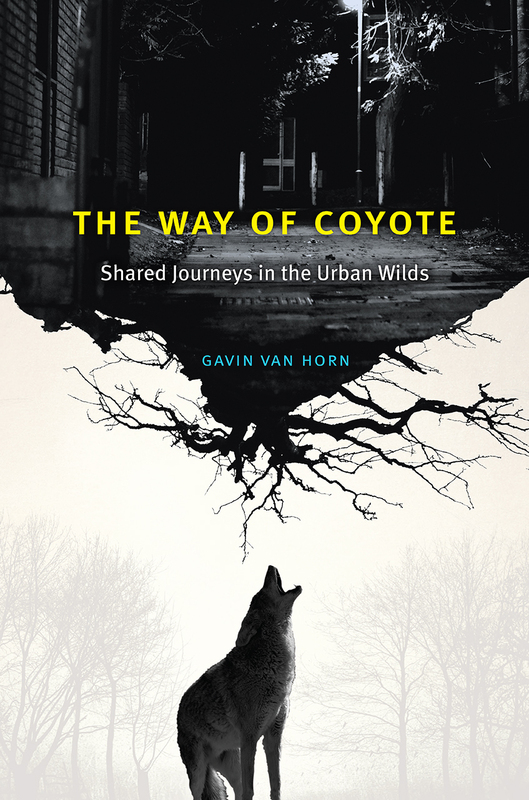 Part urban nature travelogue, part philosophical reflection on the role wildlife can play in waking us to a shared sense of place and fate, The Way of Coyote is a deeply personal journey that questions how we might best reconcile our own needs with the needs of other creatures in our shared urban habitats. "Van Horn's lyrical essays on encounters with wildlife in cities combine the insights of science and poetry into a powerful personal statement. The Way of Coyote is our urban Sand County Almanac." “In his collection of essays, framed by imaginative tales of Coyote, Badger, Owl, and other animals, Van Horn reports on ‘nonhuman animals’ on the rise and in decline in the Chicago region and around the world. . . . Readers may change how they see their neighborhoods and begin spotting wildlife nearby." “The almost lyrical observations and prose bring beauty and respect to the urban wilds of peregrine falcons roosting on the ledges of skyscrapers, Monarch butterflies laying their eggs on the diminishing milkweed, and coyotes walking on pedestrian paths and through alleys. . . . This dramatic picture of wildlife both flourishing and defending its very existence in the city will appeal to naturalists, urban dwellers, environmentalists, city planners, and those who enjoy good writing." "As a prairie steward and natural history instructor, I'm always looking for thoughtful books that challenge me to think out of the box about the environment. Van Horn's book is exceptional; from his quest to discover nature in the city to his skillful intertwining of coyote fables and observational narration. Highly recommended reading for anyone who cares about the future of the natural world."